Mary Brown died 18th June 1914 aged 76 daughter of George Brown of Watten. Sister Helen Brown died 5th August 1920 aged 76. Brother James Brown died 18th December 1920 aged 72. Agnes Brown died 23rd May 1914 aged 63. 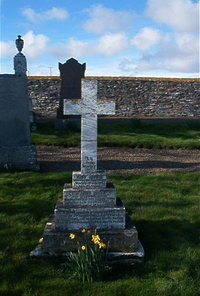 Husband George Lillie died 28th March 1929 aged 79.